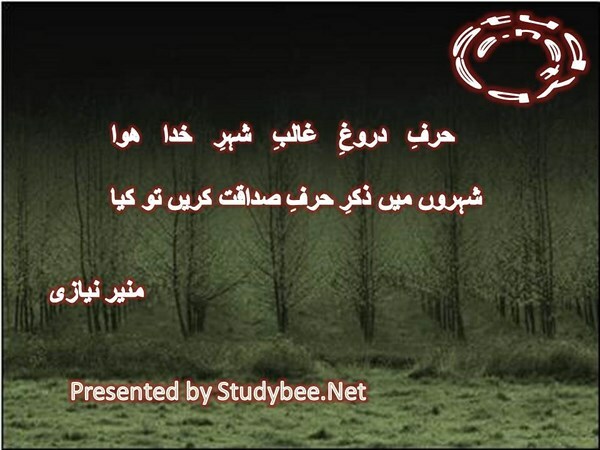 Urdu Social Poetry Munir Nizi is a vast collection of verses that are related to the role of society in an individual’s life. 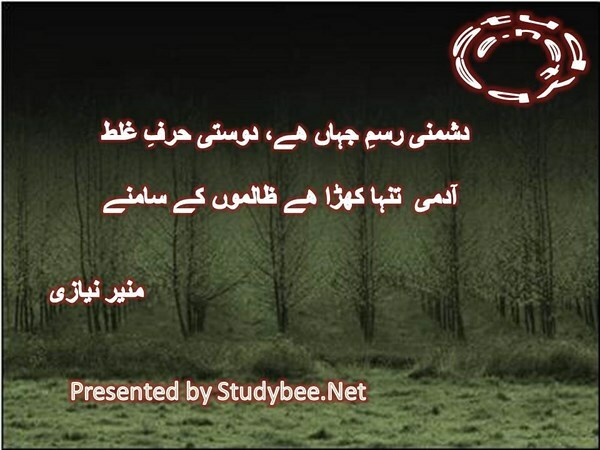 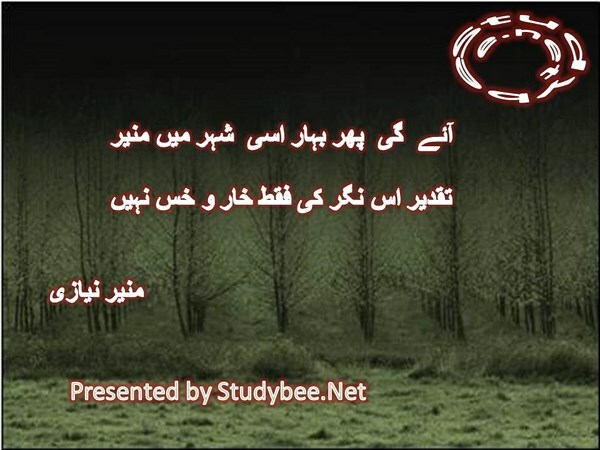 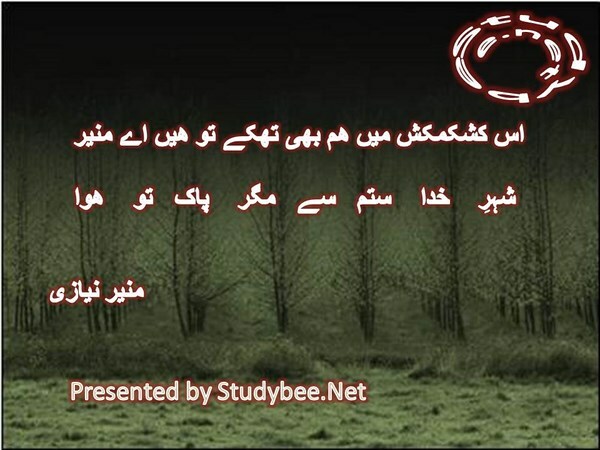 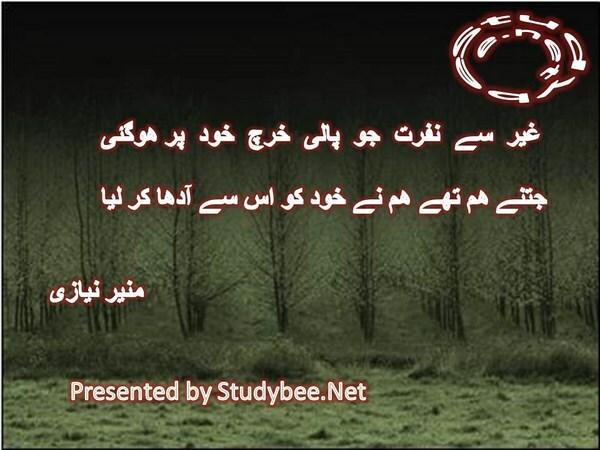 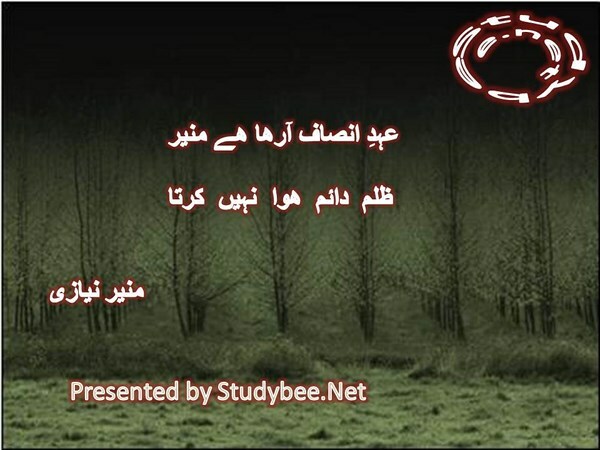 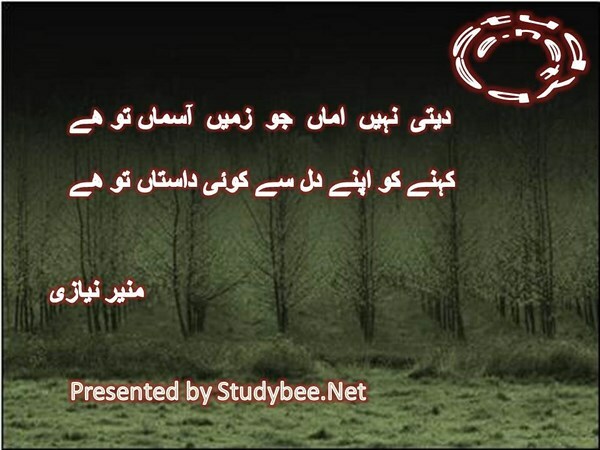 Munir Niazi’s poetry’s this social aspect adds to the respect for him as a poet. 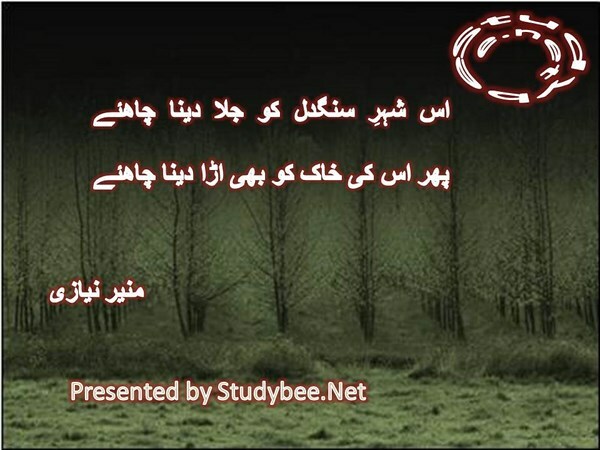 This can well be called excellent poetry for not many of the poets have been capable of catching our attention towards social matters and social norms which shape individual and reflect the echo onto society itself.